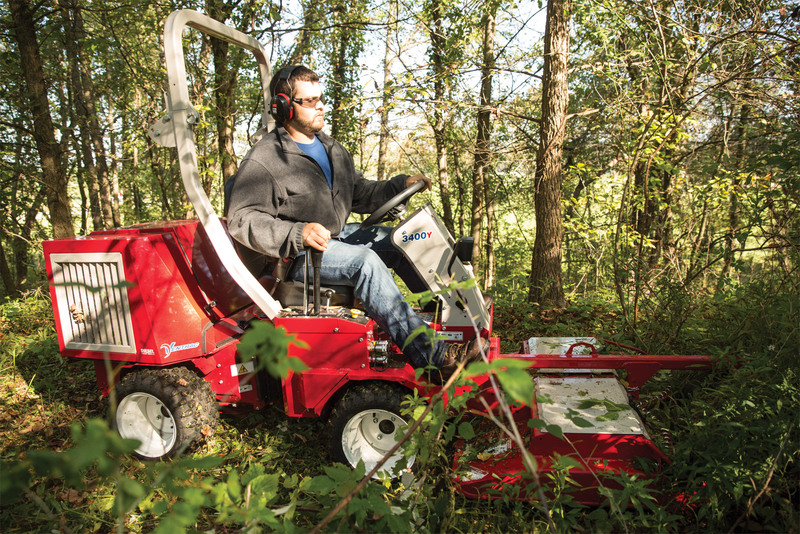 When you need the power and versatility of a compact tractor, but want the maneuverability and visibility of a zero turn mower, the Ventrac 3400Y will give you the best of both worlds and more. Engineered with an innovative articulating frame, the 3400Y tractor is the industry's best combination of visibility, maneuverability, power and versatility. Find out how this ideal combination can turn the work you have to do, into the work you love to do. 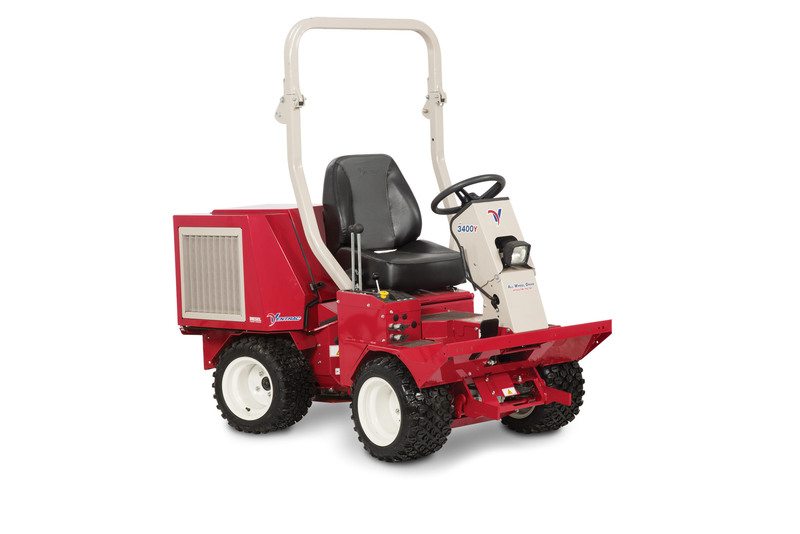 Choose from over 15 professional grade Ventrac Mount attachments to transform your Ventrac into a productivity powerhouse. 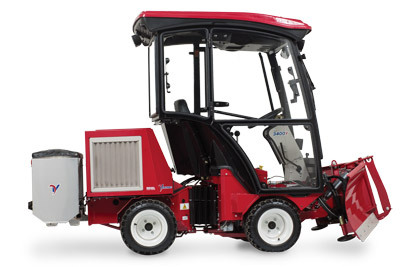 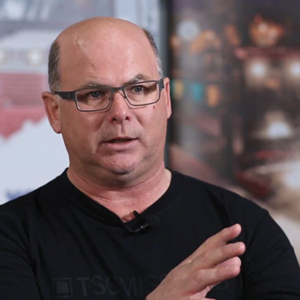 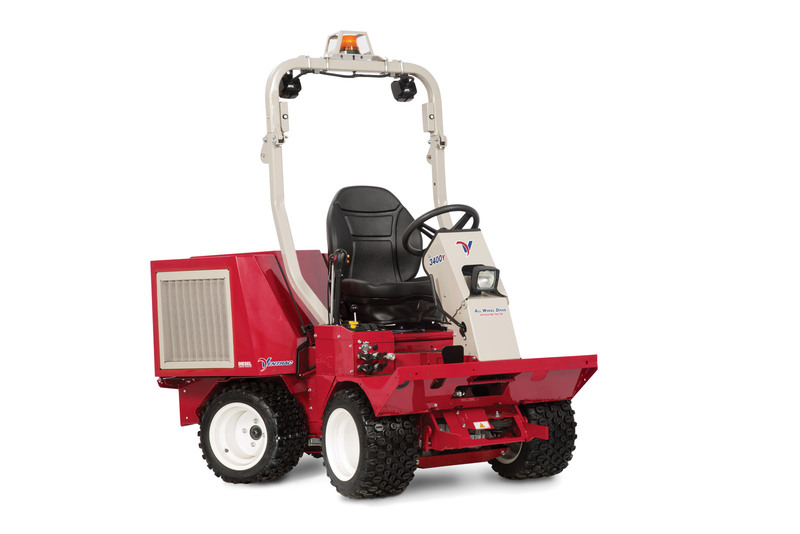 Standard on the 3400Y is Ventrac's patented S.D.L.A. 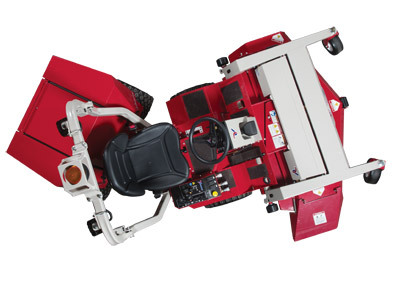 control, which allows for easy control of Speed, Direction, Lift and Auxiliary function all with one hand. 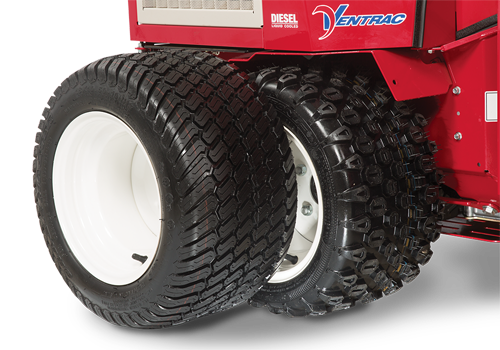 Combine these features with a tight 28 inch (71 cm) turning radius and you will find the 3400 can tackle jobs reserved for much larger, less maneuverable machines. 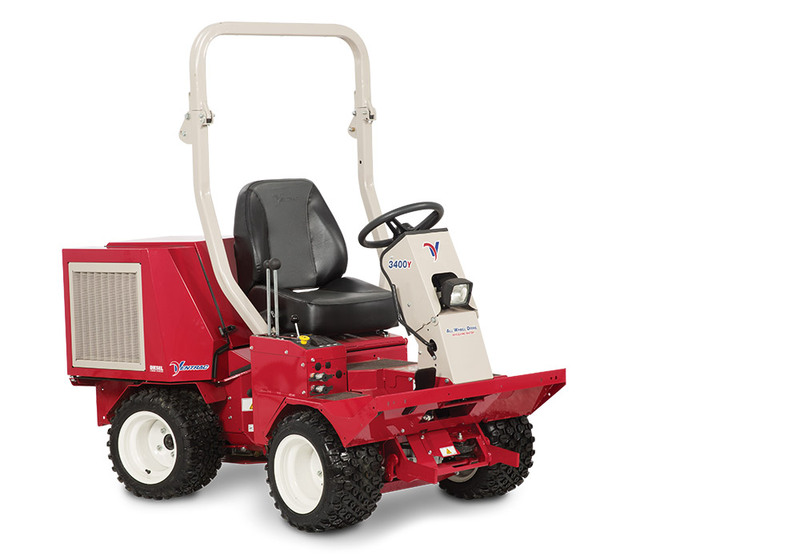 View all models in the 3400 series. 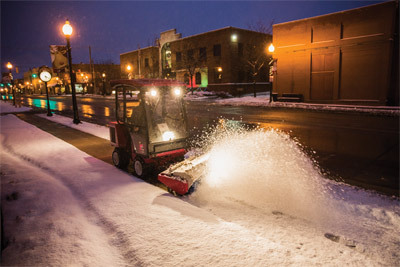 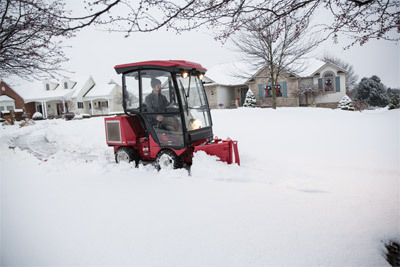 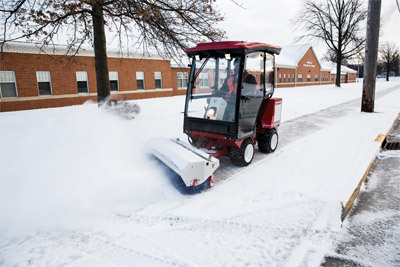 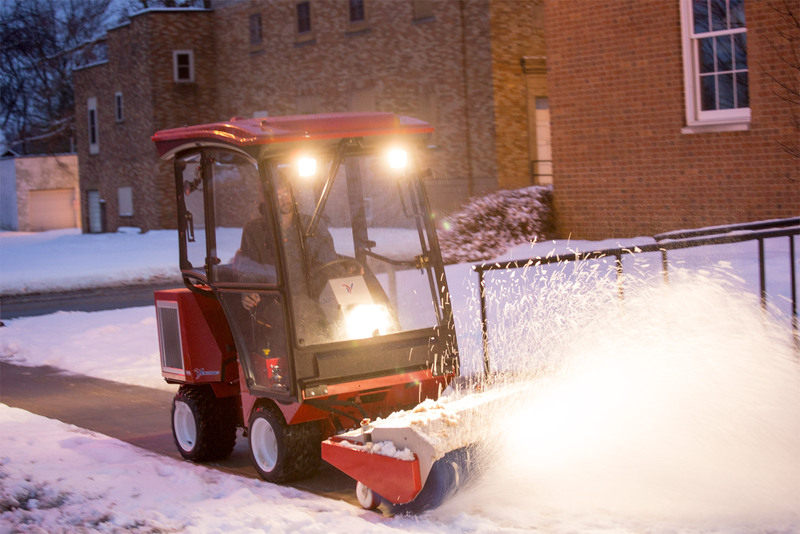 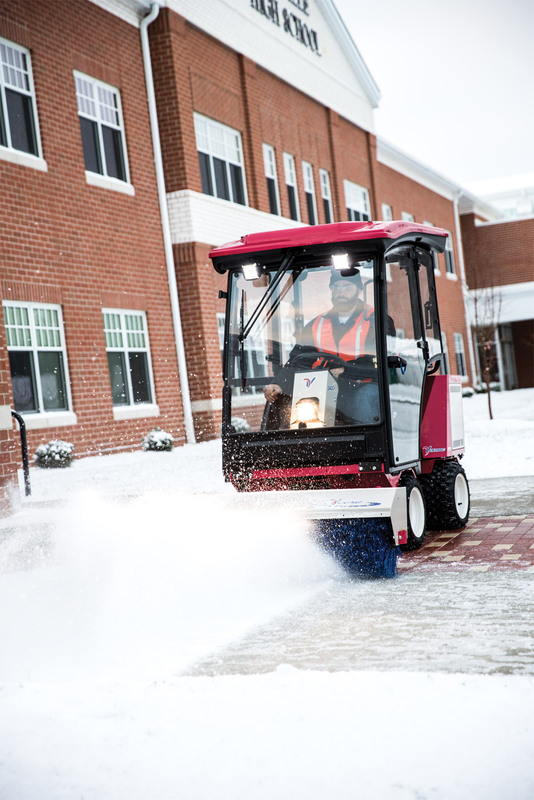 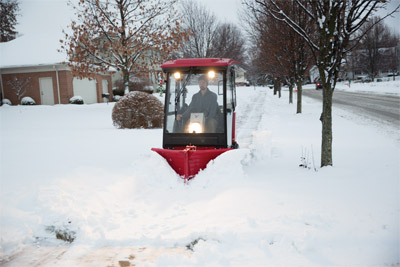 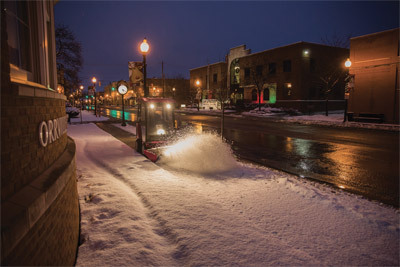 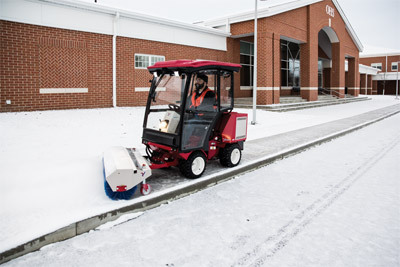 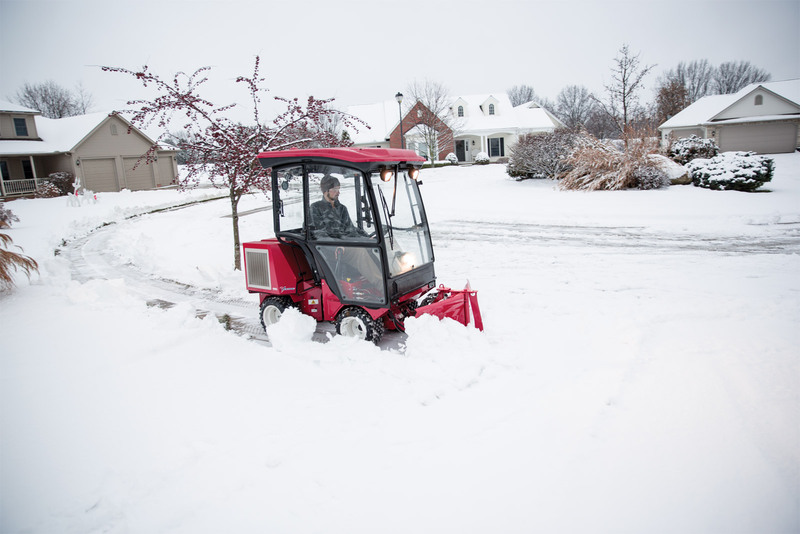 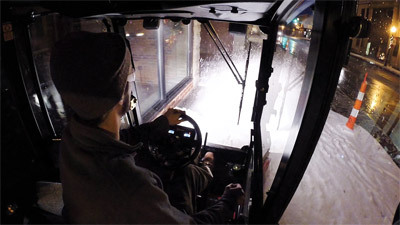 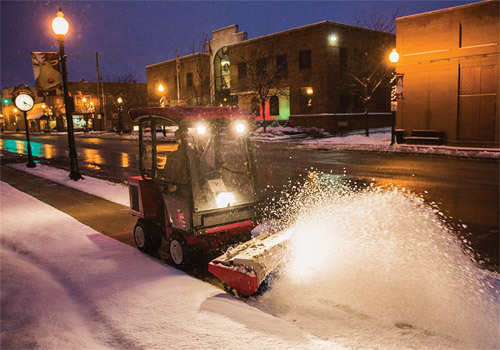 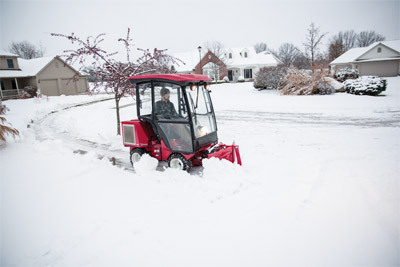 The Ventrac 3400 tractor is the perfect size for adept maneuvering on sidewalks, yet powerful enough to move heavy snowfalls. 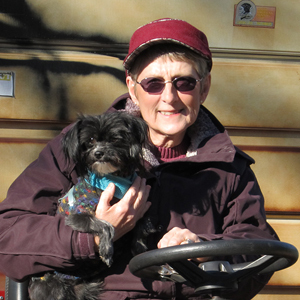 It features a 34-inch narrow footprint. 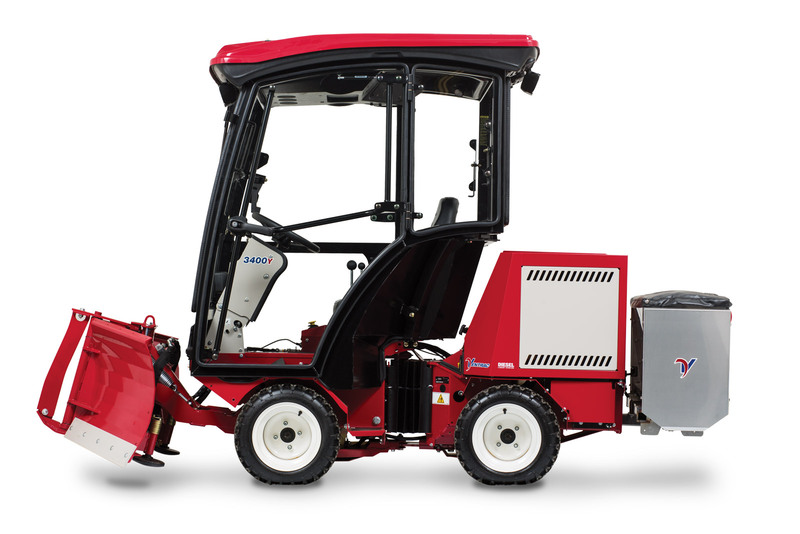 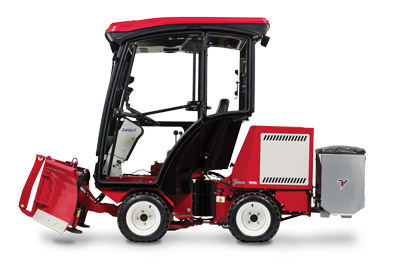 Enlarge Picture / Press Link · Ventrac 3400Y with Complete Winter Setup - The Ventrac 3400Y shown here with Power Broom, enclosed heated cab, and Drop Spreader. 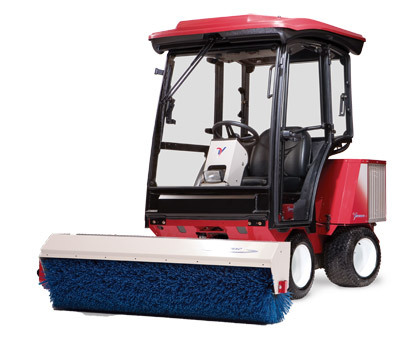 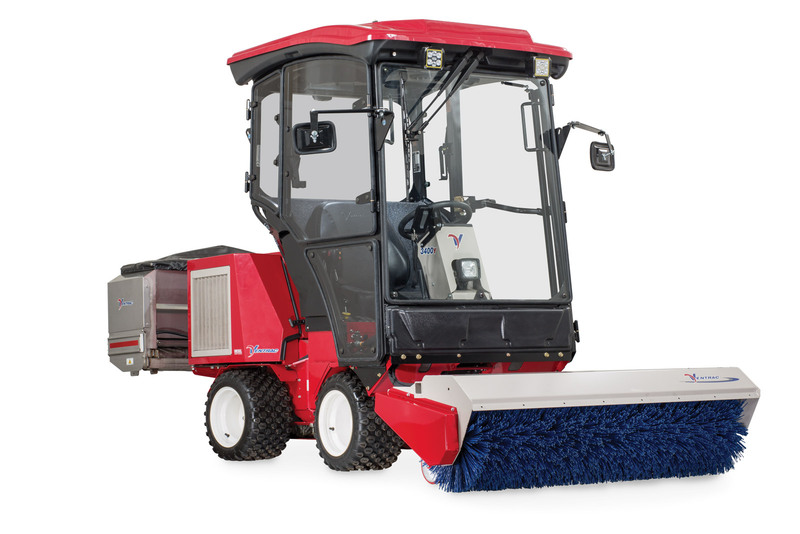 Enlarge Picture / Press Link · Ventrac 3400Y with Power Broom and Cab - The Ventrac 3400Y pictured with the Power Broom and enclosed heated cab. 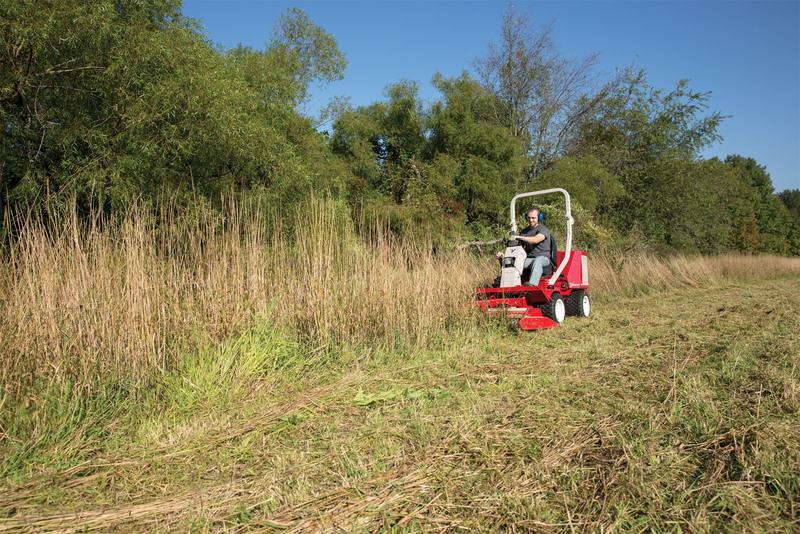 Enlarge Picture / Press Link · Ventrac 3400Y Mowing Tall Grass - The LQ450 Field Mower is designed to cut heavy grass and small brush growth. 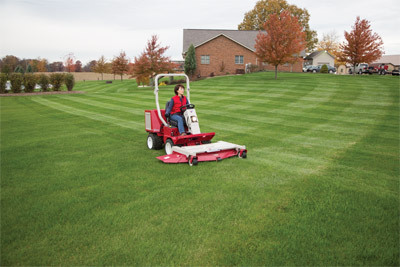 Two counter-rotating blades discharge the cut grass to the center rear. 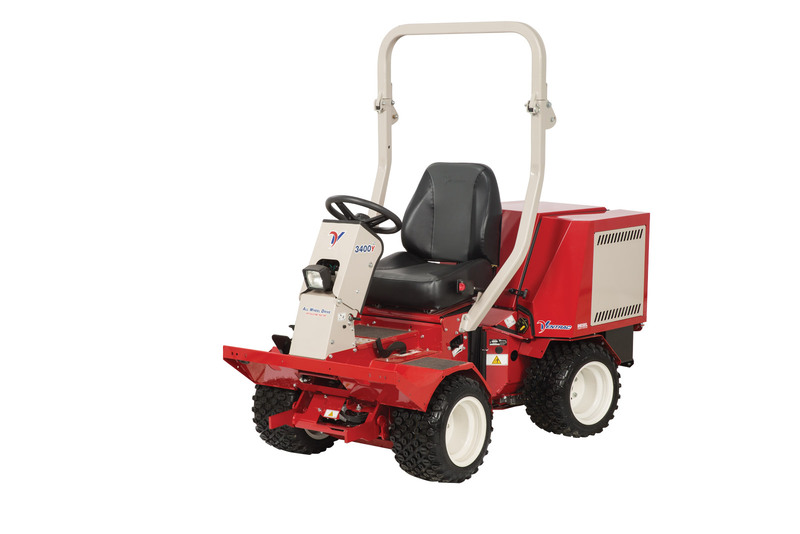 Enlarge Picture / Press Link · Ventrac 3400Y using the LQ450 Mower - Two counter-rotating blades discharge the cut grass to the center rear. 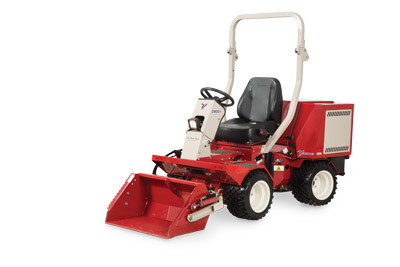 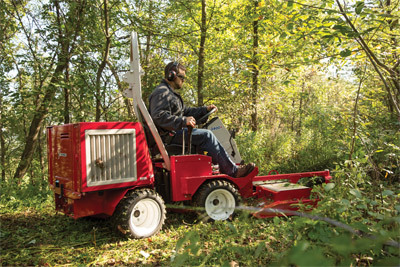 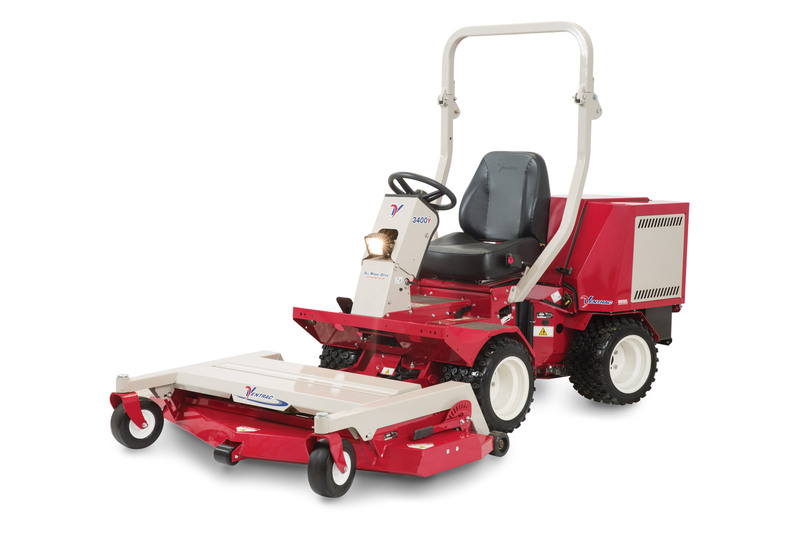 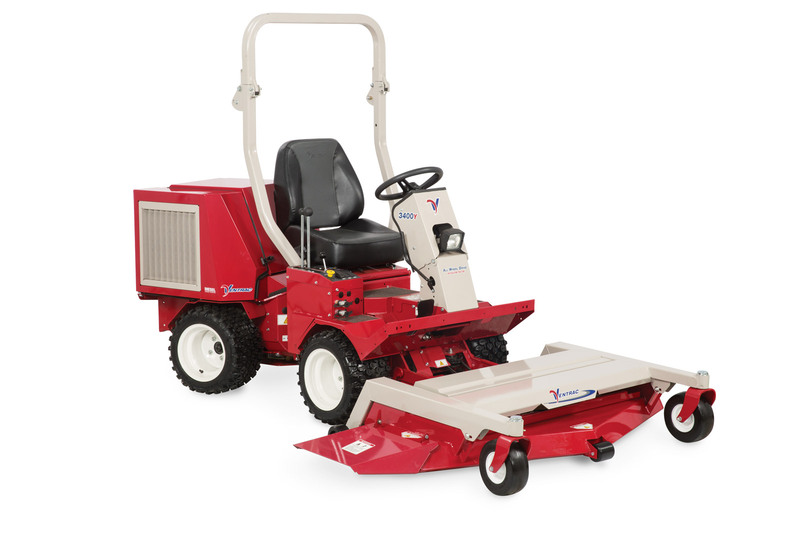 Enlarge Picture / Press Link · Ventrac 3400Y and the Field Mower - Three pins provide three cutting height options: 2 1/4, 3 1/2, and 4 3/4 inches (5.7, 8.9, and 12.1 cm). Enlarge Picture / Press Link · Ventrac 3400Y with Power Bucket - Ventrac 3400 shown with the smaller HE302 Power Bucket.